Before I tell this story about chronic illness, you have to promise you won’t picture me naked. I’m waiting . . . okay, we’re good. I remember the day I knew my seizures were going to be a big deal. I was in the bathroom getting ready to take a shower. I was standing at the edge of the shower, about to step in, and the next moment. . .
My head was pounding. My legs were sore. I was on the ground, but didn’t know how I got there. And my wife and youngest son were staring at me with fear in their eyes. We were in the living room and heard knocking. We thought it was the front door, so we checked but nobody was there. What does the door have to do with me? Hang on, Chris. We came into the bathroom next, and that’s when we saw you. You had a seizure on the floor. Your head was hitting the wall, over and over again. Your legs were wrapped around the toilet and banging against the tub. That is when my addled brain realized I was naked. I tried to grab for a towel above my head, but my arm wouldn’t cooperate. Instead I just smacked my arm on the sink. I whimpered and looked down with a grimace. Reading my mind, my wife put a towel over me and asked my son to leave. It was about ten minutes before my mind and body were communicating with each other, so I lay on the floor for a while. I just wanted to take a shower, but my life changed forever in that moment. Is it because I am not good enough? What if he fires me when he finds out? Why can’t my body just WORK? Why am I so tired, so confused, in so much pain? What does it feel like to just be NORMAL? The point of this article isn’t to fixate on my chronic illness though. Rather, I am giving you writers a real story from my own life to highlight something for your consideration. Think for a moment about how you might be able to add some complexity to your protagonist or your plot line if you chose to include a character with a realistic portrayal of a chronic illness. I don’t mean to suggest some form of cultural appropriation either. Rather, I think it’s time that we see more characters that are depictions of those with chronic health conditions. And not caricatures either, but carefully researched and accurate representations of those who aren’t neurotypical, who aren’t healthy, and who aren’t going to “get better” either. Imagine for a moment reading a book where hours of the protagonist’s days are lost, every single day. Each time, he has to piece together what’s happened in the time that passed, using cues from his environment like the music playing, how those around him are acting, and the time. This could be a key plot point, or at the very least a fascinating character. And, by the way, it’s also exactly what absence seizures feel like for an epileptic. Some films and TV shows have explored this dynamic, but I’m confident there’s an audience for this in fresh ways. Most of what I’ve seen has been a serious consideration of a particular chronic illness, in the form of a biopic or even a documentary. It would be fascinating to see characters with chronic illnesses as a part of their life, not as the sole focus. This is a more realistic picture of what life with a long-term health condition looks like anyway. 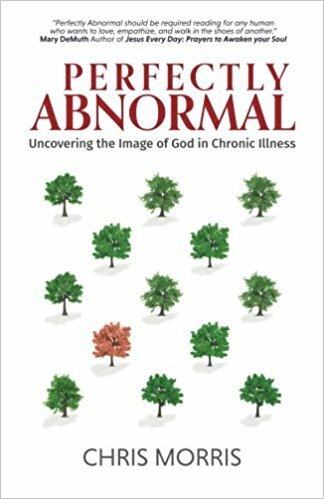 Chris Morris is the author of the new book Perfectly Abnormal: Uncovering the Image of God in Chronic Illness. 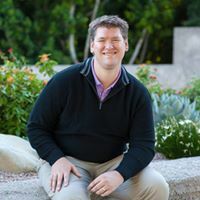 He writes to give encouragement and strategies to people who are dealing with circumstances that feel overwhelming. He believes in redefining normal and rebuilding hope. He writes at his web site. You can also follow him on Twitter and find him on Facebook. Somehow, I have to find a way around this. I’ve missed so much else, but I am not going to miss my daughter’s graduation! Great article, Chris, and I wholeheartedly agree about the need to show characters with chronic illnesses and other disabilities as fully rounded characters with lives and stories of their own, not just as objects of pity or token sidekicks to the healthy, able-bodied heroes. I wrote an article about this subject in regard to children’s literature a few years ago which generated some good discussion (those interested can find it at http://rj-anderson.dreamwidth.org/594220.html), and since then I’ve discovered a few more nuanced and non-stereotypical portrayals of characters living with chronic conditions that gave me hope for more such stories in future. But it’s all too easy for writers to be careless or oblivious to these things.